Our iconic city centre hotel is Cape Town’s most original, convenient & fun place to stay. Not only is our proudly South African hotel a heritage building, we have been operating as a boutique hotel for over 120 years! The legendary, luxurious, conveniently located “design hotel” bustles with an energy that is quintessentially Cape Town. 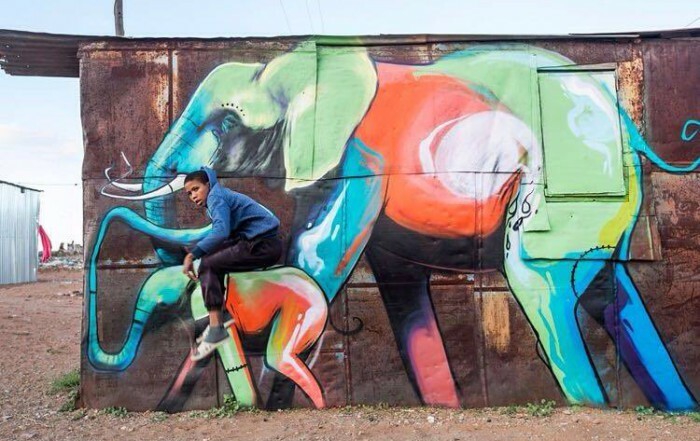 Our unique Long Street hotel features a top class eatery called “Thirty Ate”, boutique hotel accommodation and South Africa’s only rooftop Airstream Trailer Park. 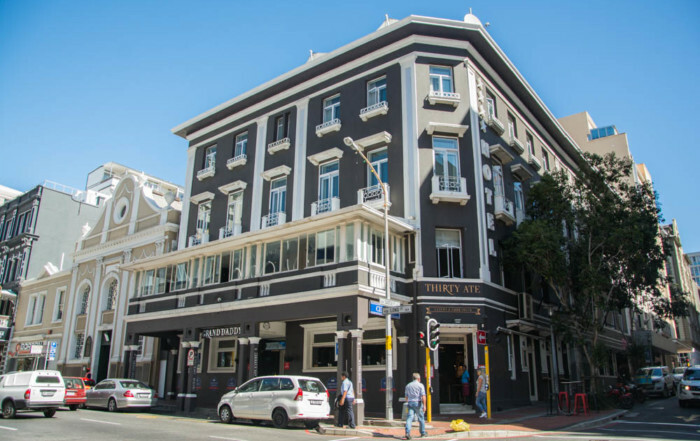 So much more than just a Cape Town hotel, The Grand Daddy is a local landmark. 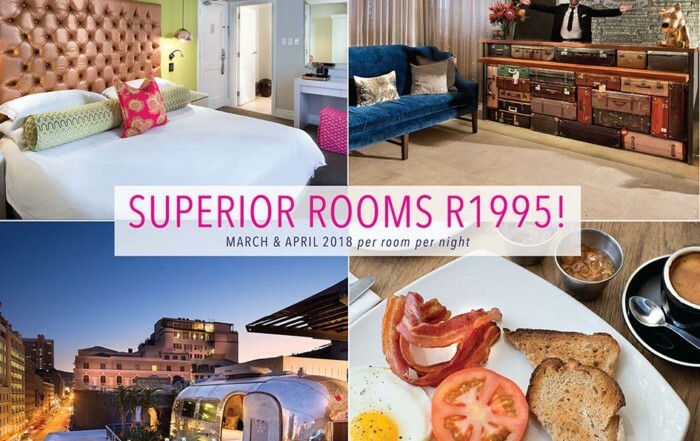 A distinct focus on the promotion of local design, exceptional service and world class hospitality, make this hotel a unique, unmissable addition to Cape Town’s famous Long Street. Experience exceptional, convenient & diverse dining at THIRTY ATE Eatery. We also offer exclusive bookings for private events and functions. Airstream trailers are incredible works of craftsmanship and their classic shape is unforgettable. Each Airstream trailer has a queen-size bed, wet room with a shower, and the modern comforts like TV, aircon and fridges. #LiveRiveted! Our beautifully decorated THIRTY ATE Eatery at The Grand Daddy Hotel, is cool, casual & classic. THIRTY ATE is a welcome addition to The Mother City’s contemporary dining scene. Visit our Sky Bar and enjoy a delicious sundowner on the roof! With plenty of space to entertain, the roof of the Grand Daddy is the ideal place to kick off your night on the town, or to hire for that very special event. Either way, you’ll feel on top of the world. Capetonian interior designers Beach House Interiors are responsible for the Grand Daddy Hotel’s BRAND NEW proudly South African decor. The Grand Daddy building was built in 1874 and its doors opened in 1895 as Hotel Metropole.